Coraline Jones. FAK Icontest, Theme: Floral. Images in the Coraline club tagged: photo coraline coraline jones. 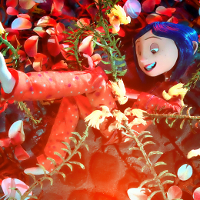 This Coraline icon might contain bó hoa, phần trên áo đàn bà, bó hoa thơm, bouquet, corsage, posy, and nosegay.